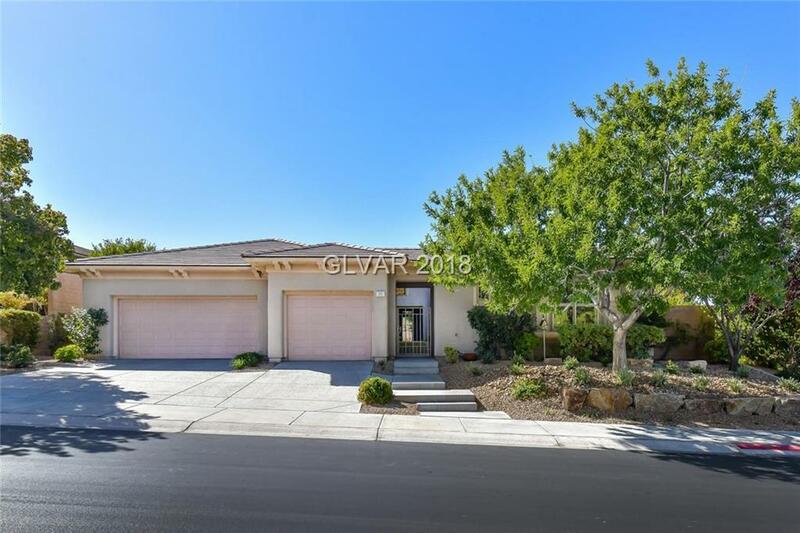 A stunning Anthem Country Club single story offering over 3000 square feet. Maintained in immaculate condition, the Sonata floorplan delivers a dramatic entry with 12th fairway golf course frontage & awesome views. Extensive updating includes custom refinished cabinetry, crown molding, hardwood shutters, travertine floors, & custom built-ins. The detached casita provides added privacy across enclosed courtyard & only one neighbor.